Dummerston Community Center’s Annual Pampered Chef event will be held Saturday, March2, from 12:55 to 2:55. 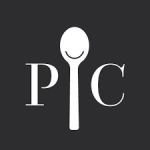 Kim Martin will host the show with new Spring products, recipes, demonstrations of many cooking needs, also hands-on-cooking and tasting of spices, sauces and rubs. There will be a special drawing at 1:00 p.m. and drawings throughout the show. There will be a benefit rummage and tag sale on Saturday, Oct. 20th, from 9 a.m. to noon at the Dummerston Community Center, 150 West St. Items for sale include clothing, fabrics, sewing machine, sewing accessories, kitchen ware, glassware, footwear, costumes and wigs, toys and games, wedding gown, bedding and so much more, filling two rooms. Some items priced, some by donation. 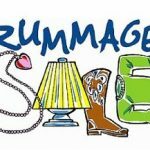 There will be a benefit rummage and tag sale on Saturday, June 30th, from 9-noon at the Dummerston Community Center, located at 150 West Street. Items for sale include furniture, furnishings, kitchenware, footwear, books, toys, games, clothing and many miscellaneous items, two rooms full. Some items priced, some by donation. Money donations from the sale will benefit the Center’s operating and maintenance cost. The Dummerston Community Center will be holding a Rummage Sale on Saturday, September 9th from 9 am-noon. Proceeds will help to offset maintenance & operating costs for the building. Items for sale include books, toys, games, kitchenware, clothing, footwear and many miscellaneous items and treasures. The Village Dance Series provides an opportunity for families and friends to come together to enjoy one of New England’s traditional pastimes. Experience is not necessary, as all the dances are taught. Our next evening of community contra and square dances will take place at the Evening Star Grange in Dummerston Center on Saturday, October 17, from 6:30 – 9:30 p.m. Mary Cay Brass will be calling the dance. There will be a traditional folk tale midway through the evening. 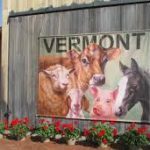 The program will include traditional New England contra dances, square dances, circle mixers, and couple dances. 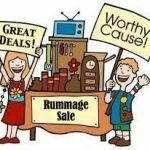 There will be a benefit rummage and tag sale on Saturday, October 3rd, from 9 am to 12 noon at the Dummerston Community Center. Items for sale include books, toys, games, kitchenware, clothing, footwear and many miscellaneous items. Rain or shine, come and enjoy coffee and Lester’s donuts and look for treasures! All money donations from the sale will benefit the Center’s operating and maintenance cost. For information call 802-254-9212 or 802-254-2415. The Dummerston Community Center is located at 150 West Street, in the West Dummerston Village. Beginner’s Hunyuan Taiji Quan is a 14 week series that introduces the principles of alignment, balance, correct movement, qi (vital energy) cultivation. Each week participants will learn a new movement of the Hunyuan 12 movement taiji quan form. Through dedicated practice, students will complete the form by the end of the series. Participants will also learn chan si gong (silk reeling) exercises to help open and relax the joints while simultaneously nourishing the vital qi and blood of the body. All are foundational practices to re-condition the mind/body connection, deepening one’s capacity to relax, release stress, improve balance, and build core strength. Solarize Dummerston invites you to a Solar open house gathering. *This is not just for Dummerston residents – all are welcome and all can benefit – the more people signing up the greater the savings*. Please tell your friends, and neighbors, please share this event! The Dummerston Community Center is holding an all day bake, snack, coffee fundraiser at the Vermont Welcome Center, on Friday, June 26th from 7:30 AM to 7 PM. We need your donations of baked goods, snacks, fruit, veggies, coffee, coffee cream, bagels etc. Any donation food, gift certificates or money would be greatly appreciated.Volunteers to help on the 26th at the snack tables are also needed. Announcing Solarize Dummerston – a program created by volunteers to help you go solar. Solarize programs help lower the cost for installers and for participants by using volunteer and grass root efforts. Simplify and de-mystify the process of going solar for the consumer. Educate those interested in Solar on the options available as well as the technology. Options will include roof mount PV, ground mount PV, as well as community solar. Select an installer who offers a low cost quality product through group purchasing power.